Okay, so you decided you want to learn to fish. And you need to know who, what, where, when, and why on just about every aspect of fishing. There are a number of ways to learn, not the easiest of which is trial and error, although that method has a more lasting effect on your knowledge base. 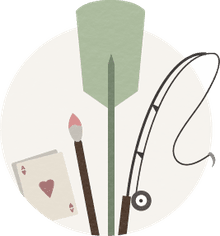 We are assuming that you have opted out of paying for one-on-one lessons and that you have not hooked up with a friend willing to give of his time to teach you one-on-one. Given these criteria, we will proceed. Go out and buy a package of seasick medicine. Nothing can ruin your day more than seasickness. You would be amazed at how easy a novice on the water can become ill. My recommendation is Bonine. It has worked in every case for the people I take fishing. If it's going to be a particularly rough day with heavy seas offshore, I have been known to take some myself. Spend the money to go on a party/head boat. These are boats that carry from twenty to as many as seventy anglers. They provide everything — bait, rod and reel, hooks, sinkers. They even help you fish and take the fish off your line for you. They will spot you if you are new and one of the mates will stay close to you to help. They will do this partly out of customer service, but also wanting to keep an eye on their rod and reel that they fear may accidentally go overboard. Remember the seasick medicine. This is where you will use it. Take a pill before you go to bed the night before and one when you wake up. Then take one as you board the boat. Trust me, you will thank me for this reminder. Head boats run from $30 to $60 a day, and you get to keep your fish! Compared to the cost of a boat, fishing equipment, gas, and bait, it is a bargain for the beginner. You walk on empty handed and walk off with fish. What a concept! Assuming you have acquired the ability to operate a rod and reel from step three, you need to find a fishing pier. Most coastal cities have at least one public or pay-to-fish pier that goes out into the ocean. Some even have a pier that goes into a bay or river. These piers will often rent tackle. They do sell bait and terminal tackle (that's the hooks and sinkers and the like) and will help you rig the rod and reel if you did not learn either from step two or three above. From that point, you may feel like you are on your own. But fear not; help abounds. If you ask nicely and appear to be struggling on the pier, there are any number of pier anglers that will jump in to help you and give you advice. They are a special breed of angler and some of the friendliest folks around. That's a major reason for sending you to a pier in this step. At this point, I would repeat steps three and four several times to make sure you are getting the hang of things. Up to this point, you have probably been fishing with what we call a conventional reel and a boat rod. Conventional reels are the ones that wind the line on the spool of the reel similar to a winch. These are designed for heavy use and abuse. That’s why the head boats use them. You may want to consider other sizes and types of reels and rods at this point. Hopefully, you have made a contact or two or even made friends with an angler or two who can help with the decision to try another reel. Don’t be afraid to ask a tackle shop owner for advice. And don’t be afraid to try something new. The key to becoming a successful angler is bound by two parts. The first is knowing the mechanics of the equipment and bait. Believe it or not, this is the easiest part. You can become very proficient at casting, knot tying, baiting, even without actually going fishing. The second part is the hardest and knowing this part can make your day. The second part? Simply knowing where to fish. I use the term simply with tongue in cheek. There are tens of thousands of anglers out there who have the mechanics down pat. They can cast, retrieve, bait a hook, and tie knots with the best of them. Only a small percentage of these anglers can be considered successful. In almost any organization it can be said with relative assurance that 20% of the people are responsible for 80% of the results of that organization. Those same percentages hold true in fishing. 20% of the anglers catch 80% of the fish. And there is a reason for these data. The successful angler, beginner and pro, know where the fish are located at any particular time. Most fish move from place to place and back again with the tide and current. Knowledgeable anglers learn these movements and are able to regularly catch substantial numbers of fish. Just wetting a line in any body of water doesn’t work. When you understand that one of the differences between a weekend angler and a guide who is catching fish is that the guide knows where the fish are located, you begin to take heart. Now I know I will hear some heat from the guides out there, but honestly, folks, if you are on the water every day and can keep track of the fish, you can catch fish when others can’t. It’s a simple fact. If you are planning to learn how to fish, maybe what we discussed here can help get you started. Of course, I can help answer some questions for you as well along the way. 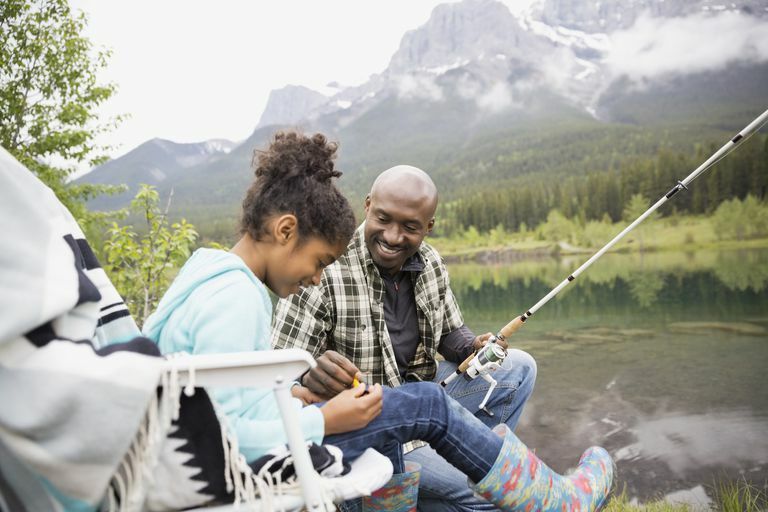 So I ask all you dads and moms, what better or healthier outdoor activity could you involve your kids in than fishing?